Hanging out in front of my sister’s house. Marylou (left) and Lynn (right). Since we were technically still in our first year of travel, our main goal was to visit as much family as we could and my sister, Marylou, was next on the list. We were trying to time our visit with the return of my brother-in-law, Craig, from Afghanistan. But there’s not always a guarantee when it comes to the date and time a solider returns from war. Lots of things can change. 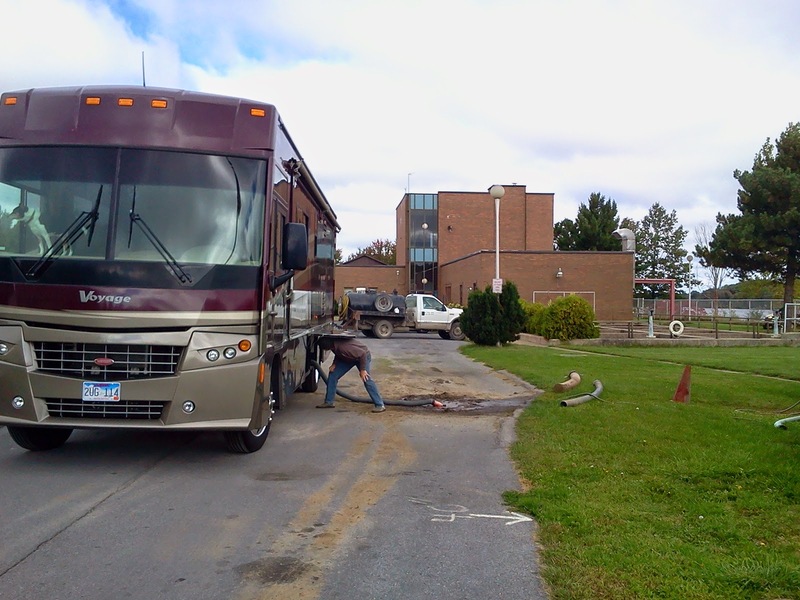 So, that’s why we ended up driveway camping at my sister’s house near Watertown, New York for three weeks. Yep, you read that right three weeks. Now, I love my sister dearly but, as with most siblings it seems, it can be easy to outstay one’s welcome. Especially when you can’t just put regular life responsibilities on hold for an extended period of time. My sister still had to go to work, as did my nephew, Brandon. And Clark and I learned pretty quickly that most families eat at regular times and sit down to dinner together every night…or at least my sister’s family does. We’d been so used to our mixed up schedules where I may eat breakfast at 8am and Clark eats his at 11am, he may not be hungry for lunch until 2 or 3pm and I’m starving by noon. 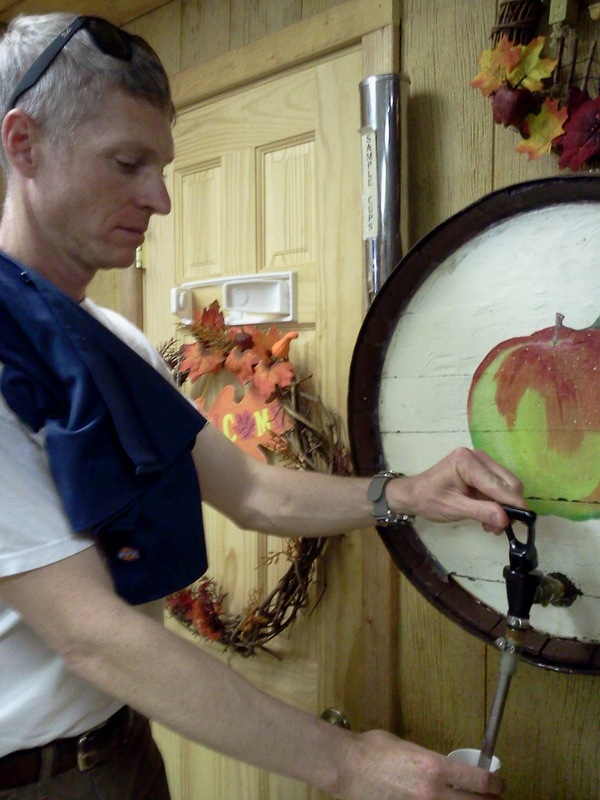 We also were relying on a regular outlet in the garage to power up the Mutiny and weren’t able to dump the black or grey water. Of course, being in the driveway meant we were also close enough to use the amenities in Marylou’s house whenever we desired. Yay for automatic dishwashers, a new washer and dryer and a large hot water heater! We did however, find that the city water treatment plant would let us dump our tanks for free and it was only about 5 miles from the house. Score! Okay…while it was awesome that we could dump here for free (and it was close by), it was also a little disgusting. We dumped right after a honeywagon. I’m not positive but I’d venture to say that everything brownish in color is poop. 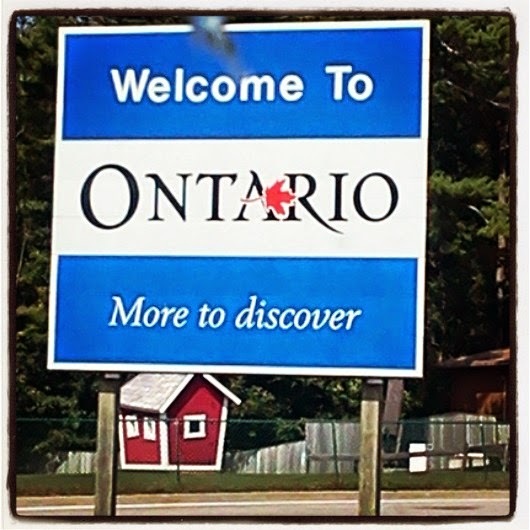 While Clark spent time relaxing and hanging out with Brandon doing man things my sister and I took a trip to Ontario, Canada for a little hot yoga (you can read all of the gory details here), vegan food and shopping. We kept ourselves busy while waiting for Craig’s return which finally happened 2 weeks later. 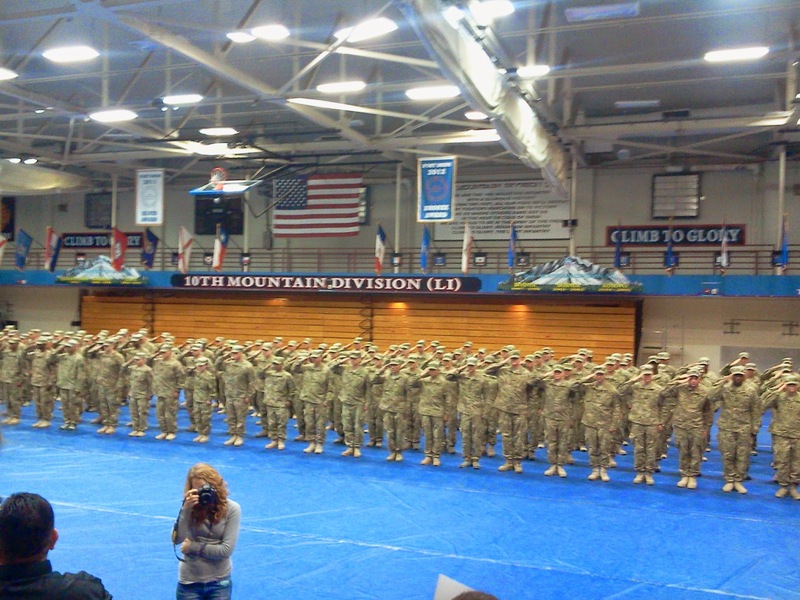 If you ever get a chance to attend a Welcome Home Celebration it would be well worth it. Many of the families who piled into the gymnasium at Fort Drum included brand new babies…and this would be the first time these soldiers would lay eyes on their children. It was extremely moving and one of the best parts of our adventures. The brave men and women returning home. 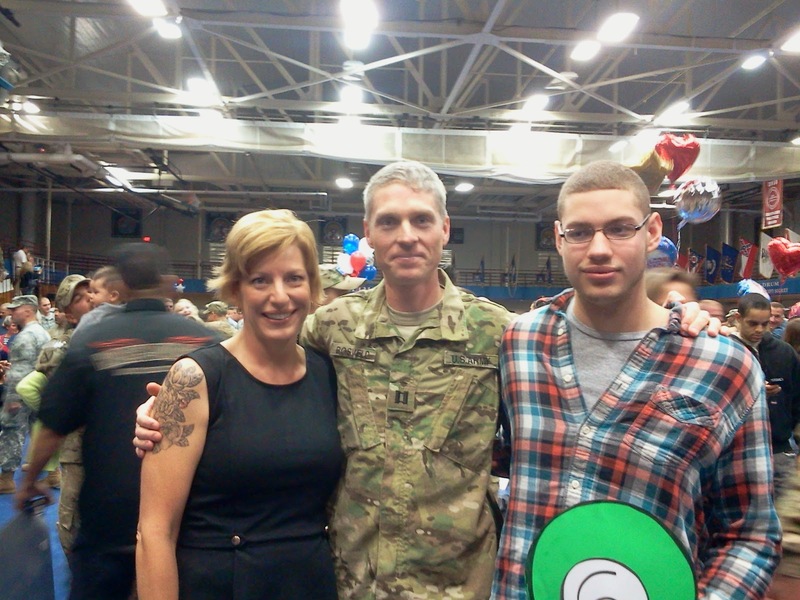 It was pandemonium as families and soldier rushed to embrace each other. That’s my sister and brother-in-law in the center of the photo (hugging). Marylou, Craig an Brandon…reunited! I think it’s sweet that you can see a man on the left side kissing his baby, probably for the first time. The real fun started after Craig got home and was able to enjoy reconnecting with his family and eating all of the foods he missed (not to mention having a beer or two, something the soldiers weren’t allowed to do in the 10 months they were gone). 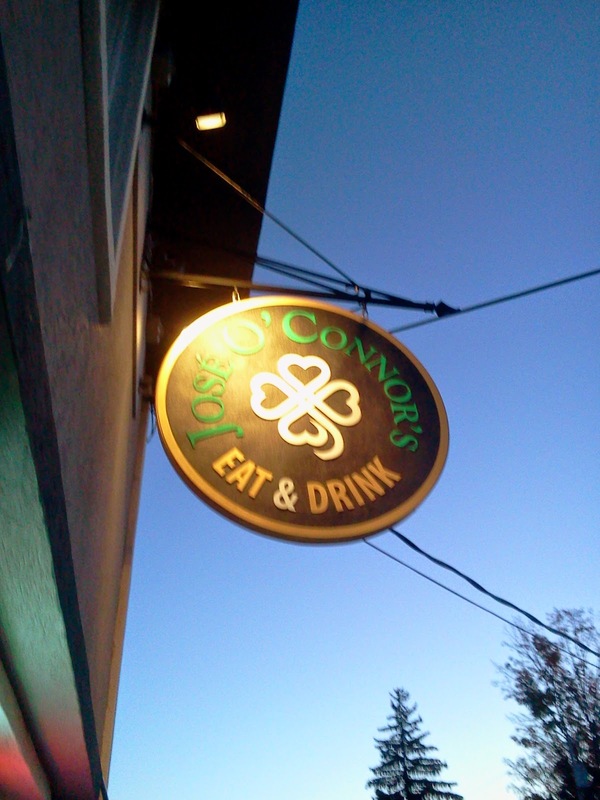 Eat and drink, yes please. As Craig was adapting to the new time zone and recovering from some pretty good jet lag we took the time to visit a few more local hang outs. 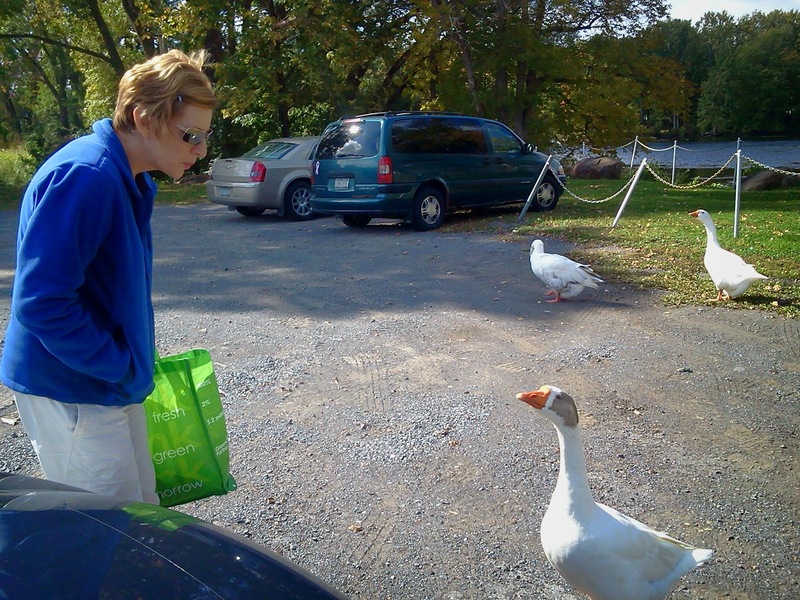 Friendly geese at the Farmer’s Market. 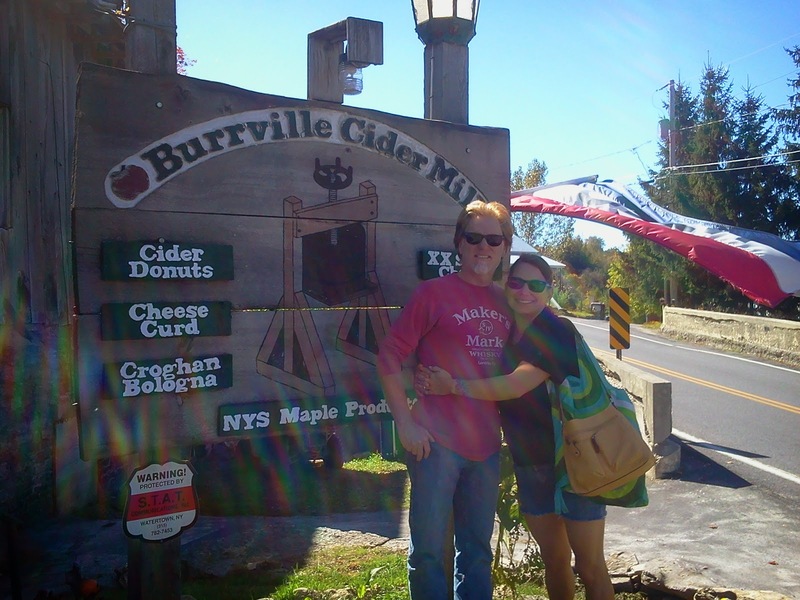 The Burrsville Cider Mill where we got our fill of cider, apple butter, apple fritters and the famous cider donuts. Over the course of the next few days we prepped for our departure. But our adventures with family wasn’t going to end just like that. 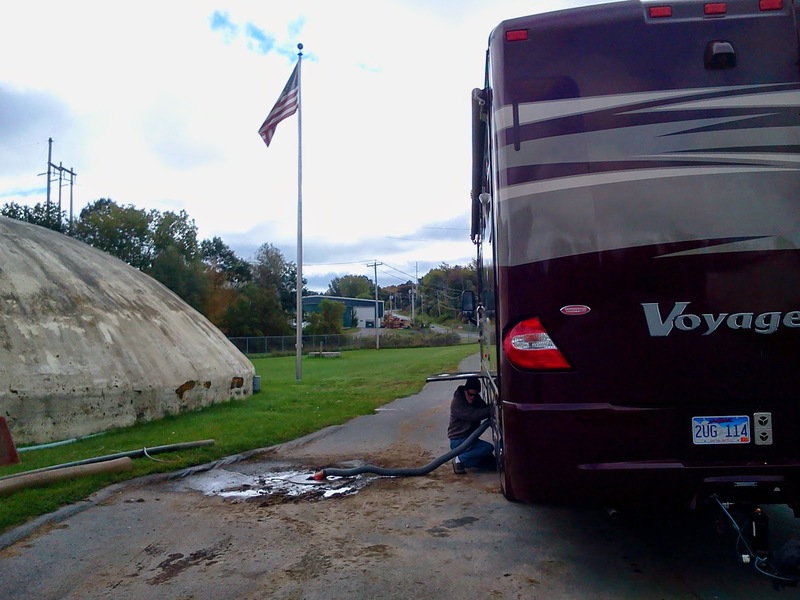 Craig decided to use his well deserved leave and camp along with us throughout the New England states. We were about to spend the next 3 weeks caravaning with Craig and Marylou through Vermont, New Hampshire, Maine and Massachusetts during the best part of the year…fall. great post, i wish one day to travel like this..